But soon after I found out I had Celiac I decided to find out whether I had other food allergies/sensitivities/intolerances as well. An allergy skin test came back with a panic-inducing laundry list of possible suspects. I scheduled a blood test and an elimination diet, but not before convincing myself that I’d never be able to have real ice cream again. I later discovered that I don’t actually have any problems with dairy (or about 98% of the foods on that original list), but not before an ice cream maker had already found its way into my pantry. I needed it, I rationalized, because the rice and coconut ice creams are so overpriced at the health food stores. 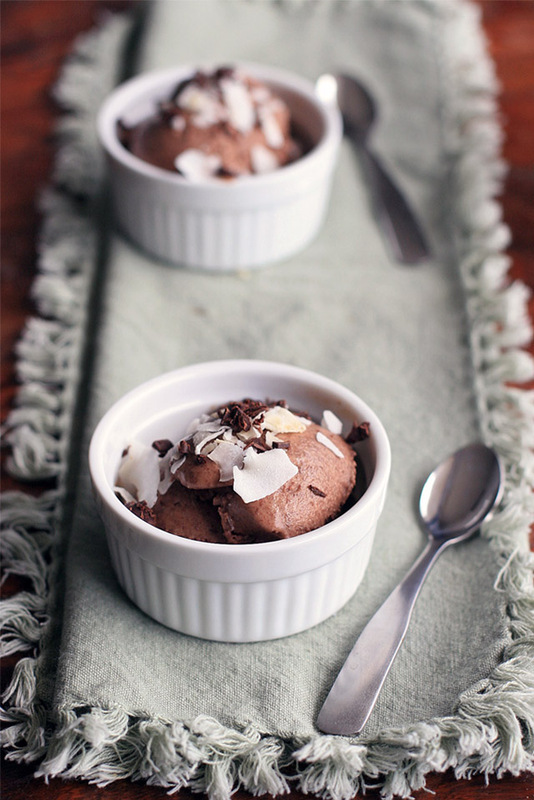 Had I been forced into a dairy-free existence, making this chocolate and coconut sherbet would probably be a weekly occurrence. Even now it’s a favorite. 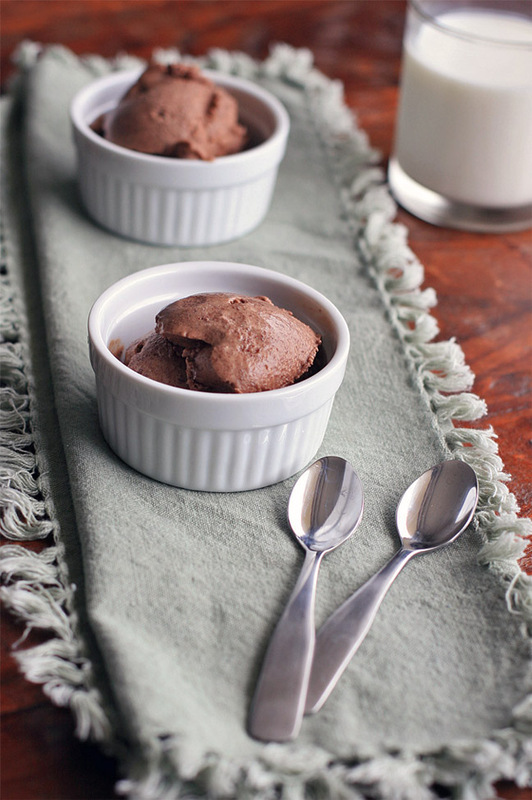 It’s easier to make than custard-style ice creams and is surprisingly creamy, considering the lack of egg yolks. Just don’t omit the alcohol, which keeps the sherbet from freezing into a hard, solid block. Oh, and one final thing? I don’t care how it’s spelled… I will pronounce it as “sherbert” until the day I die. 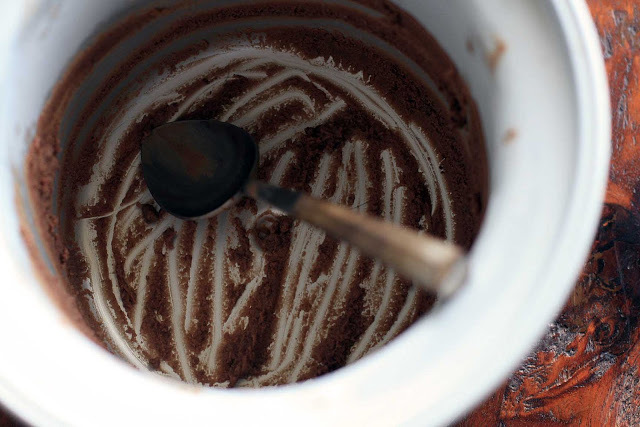 In a medium saucepan combine the water and sugar over medium heat; cook until the sugar has dissolved. Add the chocolate chips and stir until the chocolate has melted. Remove from heat and add the coconut milk and coconut rum. Let cool to room temperature and then chill in the refrigerator at least four hours. 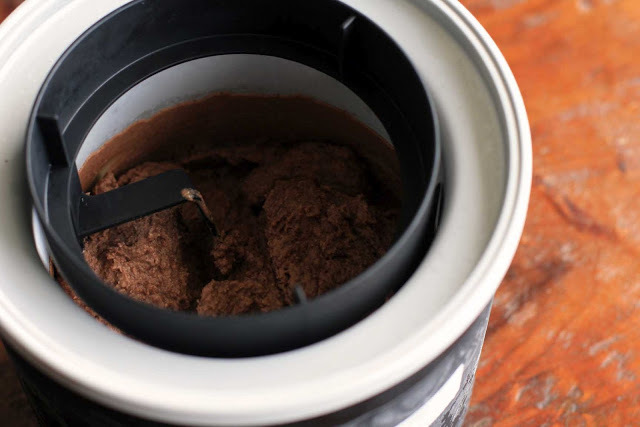 Freeze in an ice cream maker. 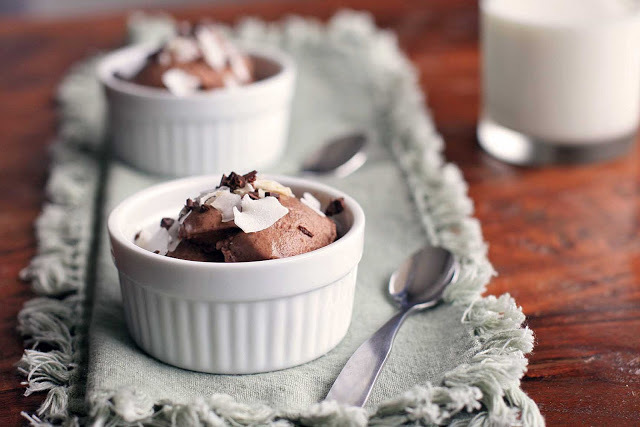 Scoop into individual serving bowls and top with the shaved chocolate and unsweetened coconut.